[a1]: this argument is optional and it is either TRUE or FALSE. TRUE means referencing is in normal A1 style. If false, then referencing is in R1C1 style. If left empty, by default value is TRUE. 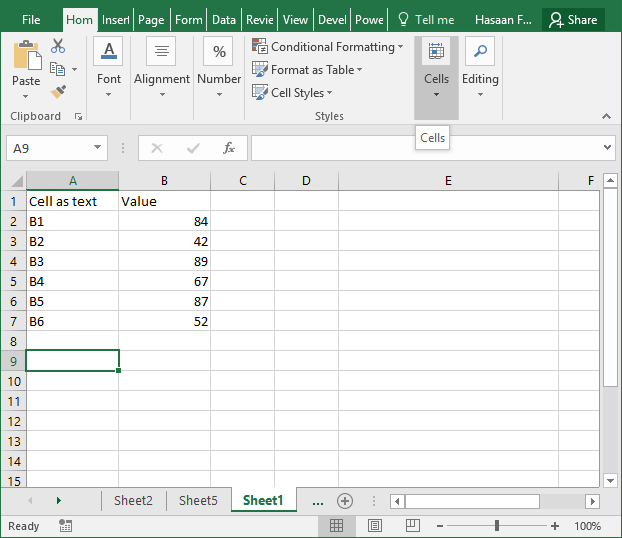 INDIRECT function in short fetch the value of cell (if it confirms to Excel rules of cell address) being referred to in text. If we refer to any cell in column A for example to cell A5 it will return B4 as the result.